The SUV coupe genre was once mocked for being unwanted – but now it’s becoming mainstream. 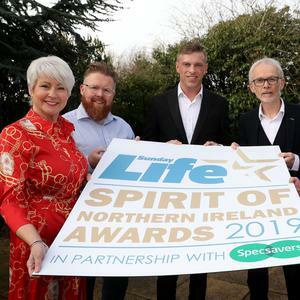 And as if to underline the point, Porsche this week joined the club by unveiling a sporty Cayenne Coupe priced from £62k to £104k. The premium rival to the likes of the BMW X6 is a coupe version of the popular Cayenne SUV, which in itself caused a sensation when launched back in 2002 when people said there was no room in the market for a high-end SUV. The Cayenne went on to be one of the world’s best-selling luxury 4x4s. The new Cayenne design copies what is, by now, the standard SUV coupe approach: identical at the front and raked downwards at the back end to produce a sportier feel. 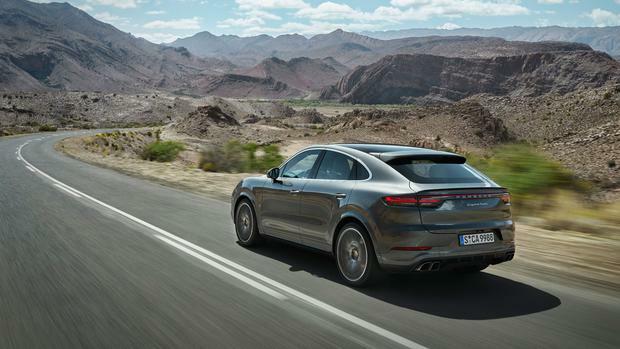 Porsche executive Oliver Blume says: “The Coupe includes all the technical highlights of the current Cayenne, but has an even more dynamic design and new technical details that position it as more progressive, athletic, and emotional”. 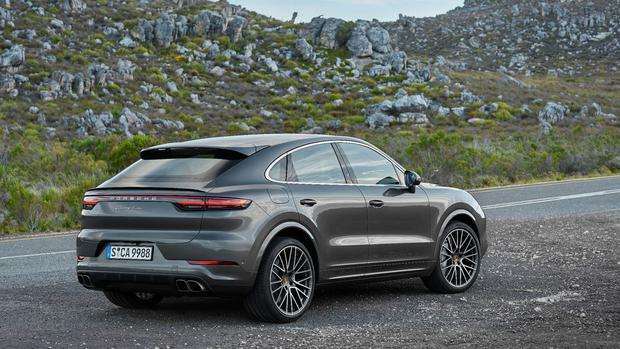 The highlights of the new Cayenne model include sharper lines with a unique rear section, an adaptive rear spoiler, a rear bench with the characteristics of two individual seats, and two different roof concepts – a panoramic fixed glass roof fitted as standard, and an optional carbon roof. 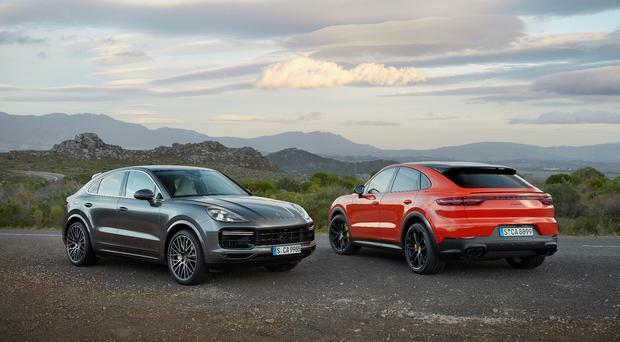 “The significantly more steep roof line that falls away to the rear makes the Cayenne Coupé appear even more dynamic, and positions it as the sportiest-looking model in the segment,” says another Porsche executive, Michael Mauer. The front windscreen and A-pillar are shallower than in the Cayenne, courtesy of a roof edge that has been lowered by around 20 millimetres. Redesigned rear doors and bumpers broaden the shoulders by 18 millimetres, contributing to its overall muscular impression, says Porsche. The rear number plate is integrated into the bumper, making the vehicle seem closer to the ground. The rear spoiler – integrated into the silhouette – extends by 135 mm at speeds of 55mph and up, increasing the contact pressure on the rear axle. 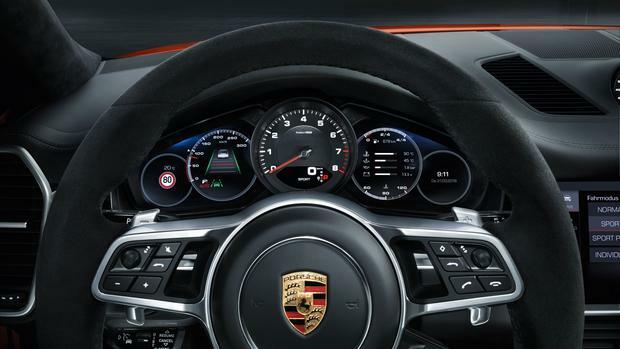 The new Cayenne Coupe comes with a large fixed glass roof panoramic as standard. A contoured carbon roof is optionally available for the Coupé on request, available in one of the three lightweight sports packages. These packages also include the Sport Design features and new, weight-reduced 22-inch GT Design wheels, seat centres in classic checked fabric, and carbon and Alcantara accents in the interior. For the Cayenne Turbo Coupe, the package also includes a sports exhaust system. 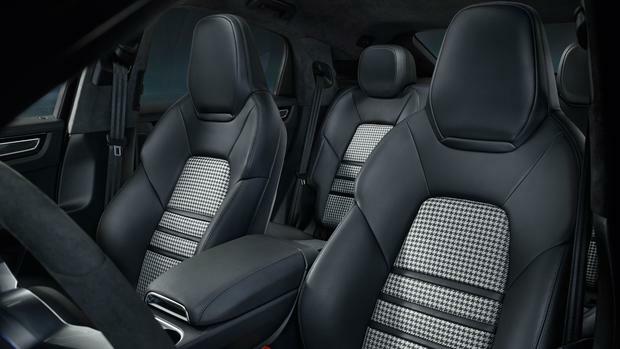 The new Cayenne Coupe offers plenty of space for up to four people as standard. The boot capacity is 625 litres – good for everyday use – and rises to 1,540 litres when the rear seats are folded down. Two engine choices are available at launch. The standard Coupe will arrive fitted with a 3.0-litre V6 petrol turbo delivering 330bhp and 450Nm of torque. It is mated to an all-wheel drive, eight-speed auto gearbox, and has a top speed of 150mph and a 0-62mph time of six seconds. The new Porsche Cayenne Cope is available to order now and will be in dealerships from the end of May.